I though I’d kick off the New Year with my very first blog slide-show. 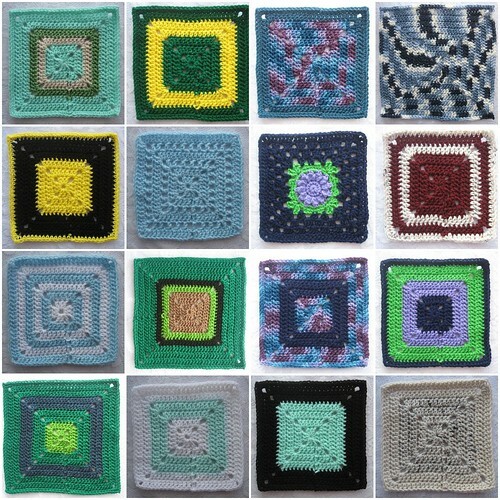 Click on the picture mosaic above to see a neat little slide-show of the crochet squares I made. There’s even a music number that goes along with the slide-show if you click the volume button on the left corner. I’m a little tongue-tied today and can’t seen to get the details of these crochet squares written right. I’m just going to leave well enough alone and save it for another day. If you have still have some blog time to kill I would suggest going to Crafty Christina’s to check out her new free St Maurus Headwarmer crochet pattern featuring the Jacob’s ladder stitch. 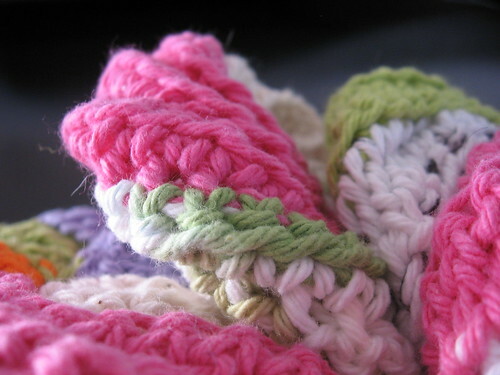 This is on my ’08 crochet queue and looks like a serious must for stylish winter crochet wear. Oh, and speaking of free crochet patterns, today I noticed that The Daily Crocheter has featured my Through Any Window Baby Blanket as their free pattern of the day. 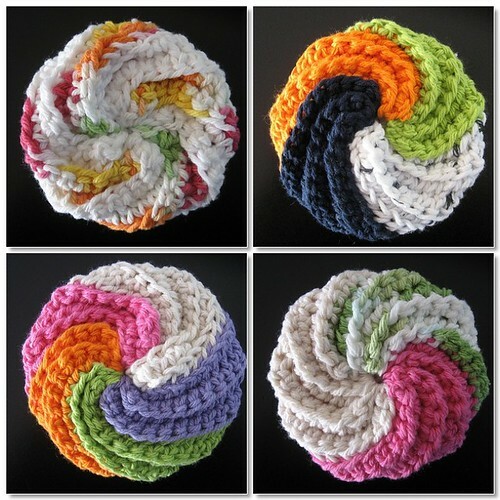 You can see the link listed through the 14th of January on their free pattern of the day archive. Here’s to future free crochet patterns everywhere in 2008!